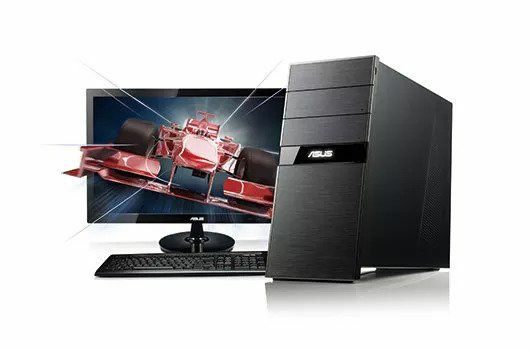 Looking for high performance computer workstation rentals in Dubai? Hire or lease good computer workstations in Dubai from VRS Technologies, our IT rental service is most reliable in UAE and best in Dubai. It goes without saying that the crux of your business flows into the system administration and computer workstations. The bigger you want your business to grow, the more you have to spend on the computer workstation. The more you want to spend on workstation, you realise that you would need a good amount of budget. And the more you ponder and research to escape the huge cost, you tend to realise that the only smart way to do this, is through renting or leasing computer workstations. The problem comes when you have to choose the right service provider in Dubai. We, at VRS technologies, provide supreme computer workstation rentals services in Dubai. We just don’t believe in words, we believe in action. You would realise the supremacy of our services only once you choose us. • We have been an expert in computer workstation rental services in Dubai since a long time. • We believe in doing it big. Hence the stock that we have and the set up that we have are all in bulk. Due to the very reason, we have effortlessly stroked a competitive pricing that you would die for. • Also, we believe and consider all our clients equally and give equal priority to all. We don’t just believe in making business with you but in making a loyal family. • Indomitable pricing strategy for computer workstation hire and rental. • Promptness in delivering and exceptional customer service all through. • Matchless technical support for all our computer workstations (rental / lease /hire). • High quality desktops, workstation, and related peripherals. • Pre tested latest and upgraded equipment and set up. • Effortless installation and query resolving process. • Stock that offers varied brands, size, resolution, RAM, processor, colour, performance and other features. • Tailor made options exclusively for our clients. • Great CPU, graphics, memory and multitasking capabilities. Our computer workstations leasing and rental program in Dubai varies from one to five years of service. You can choose any of it and get into the books of our VRS family.